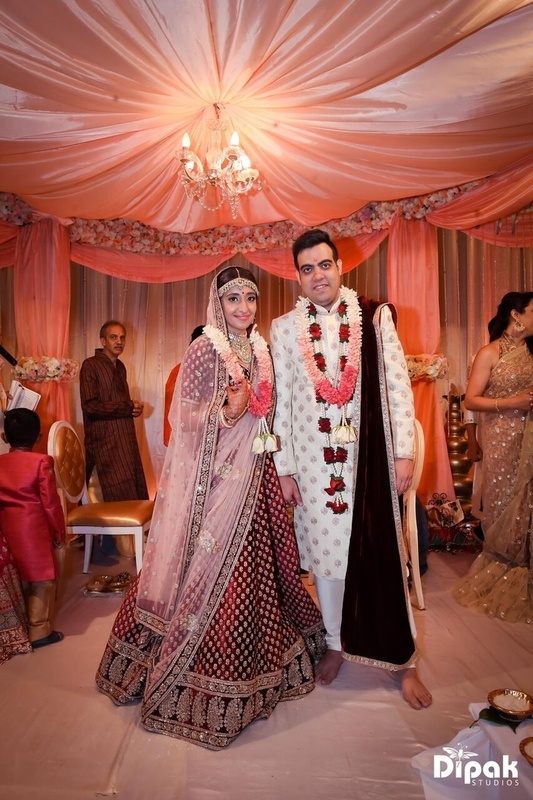 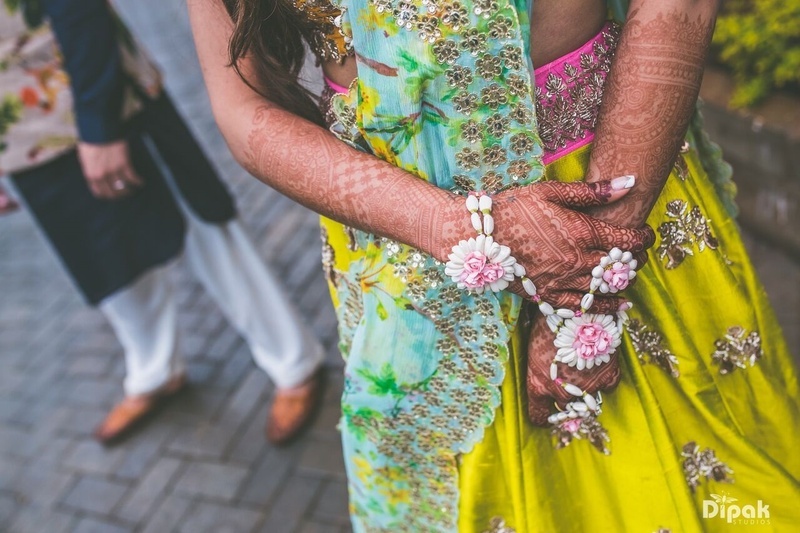 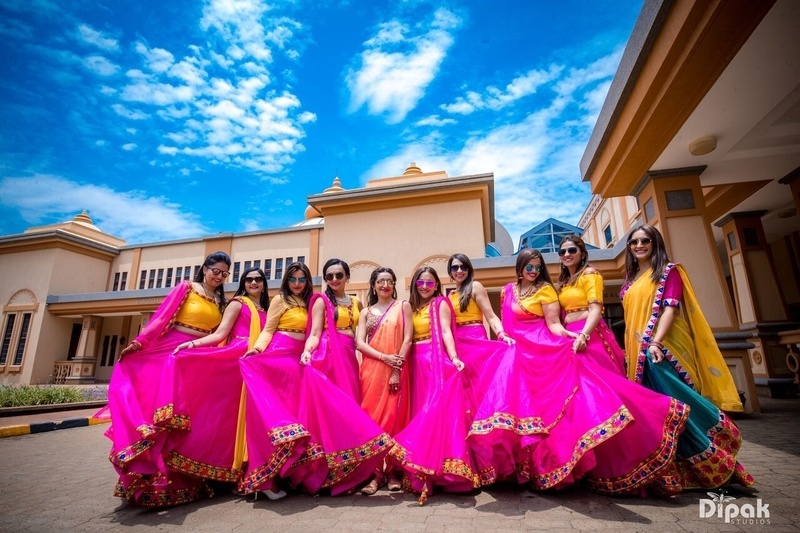 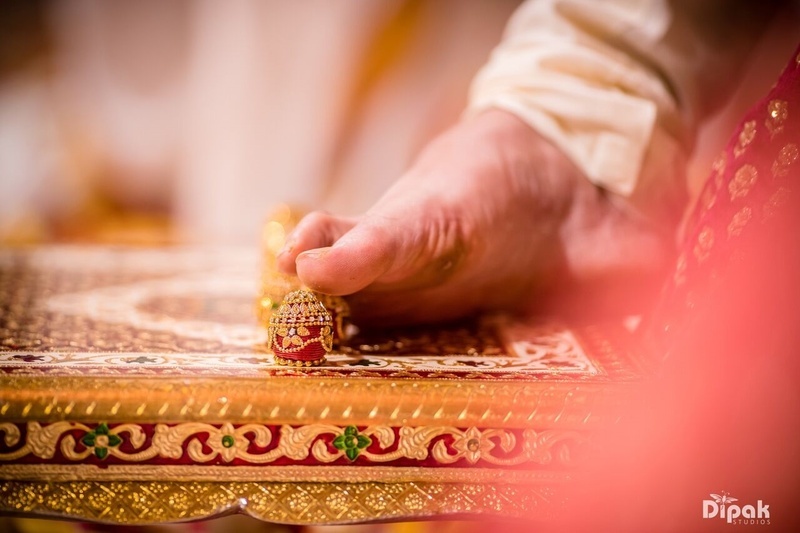 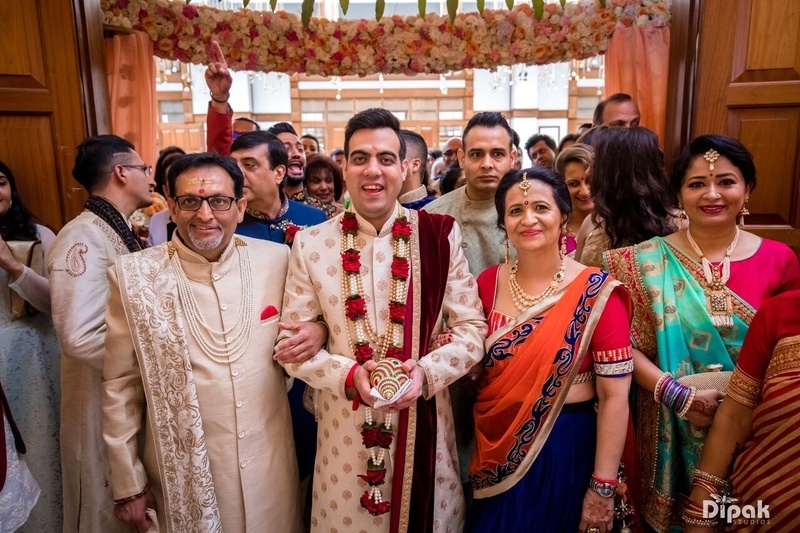 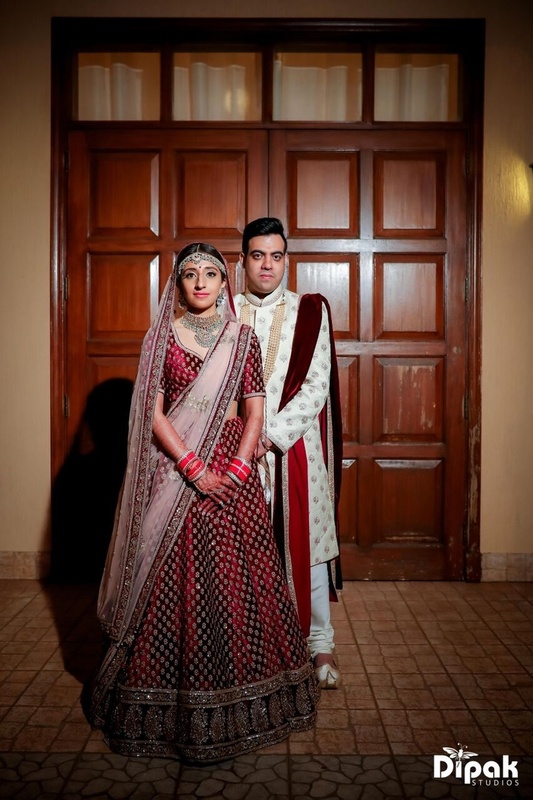 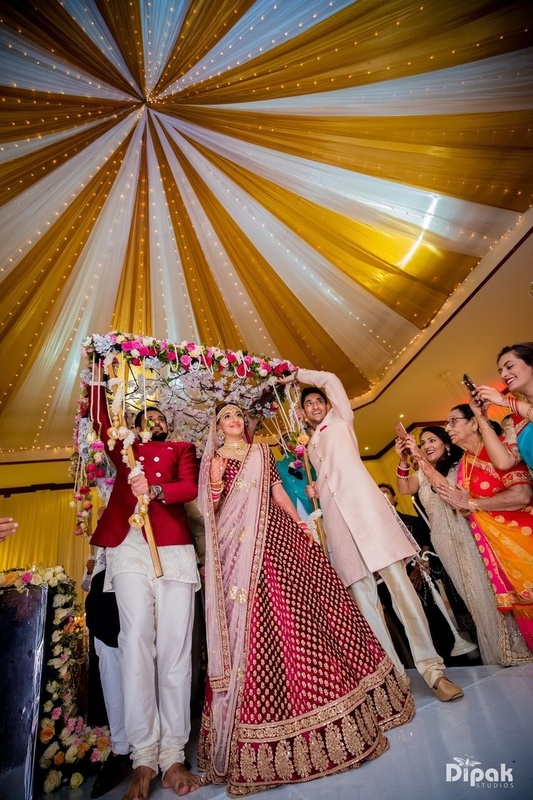 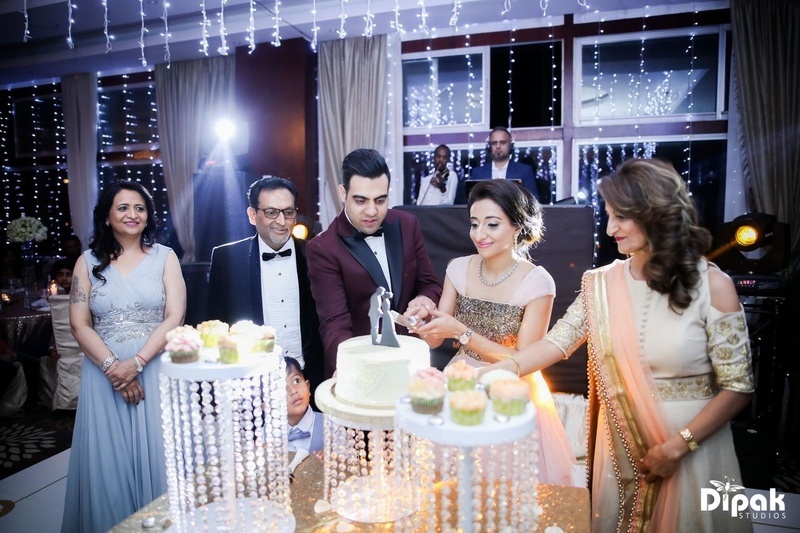 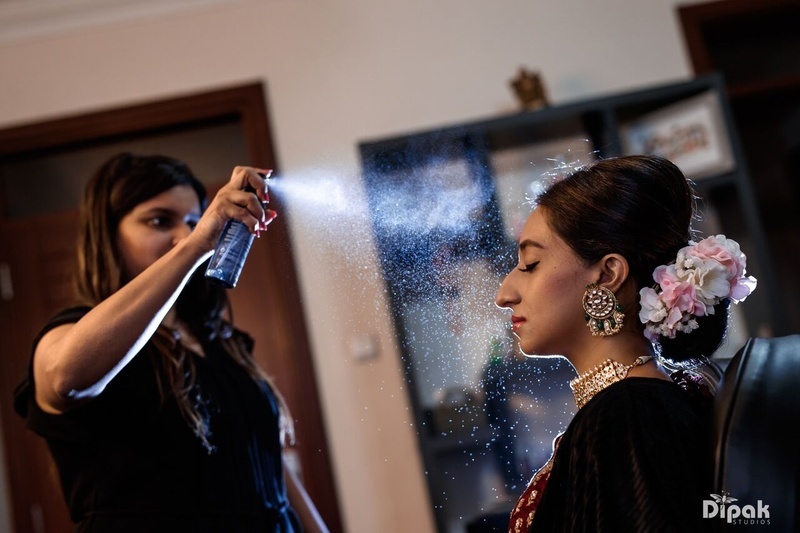 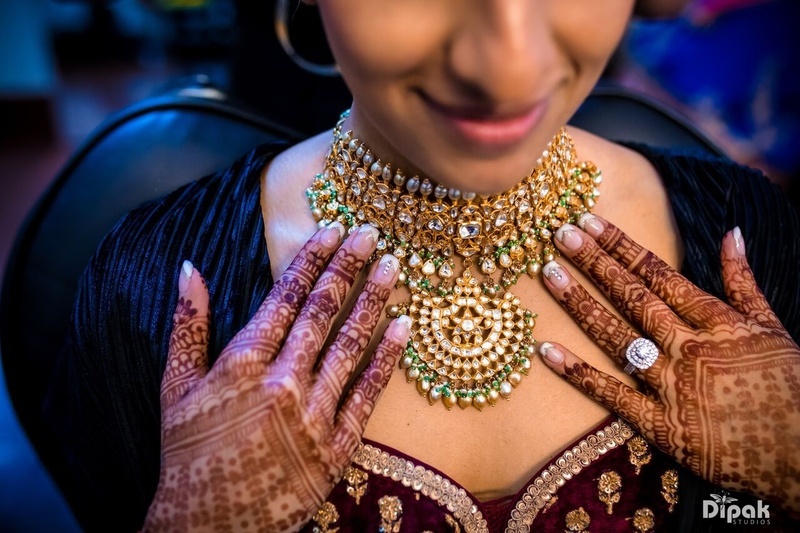 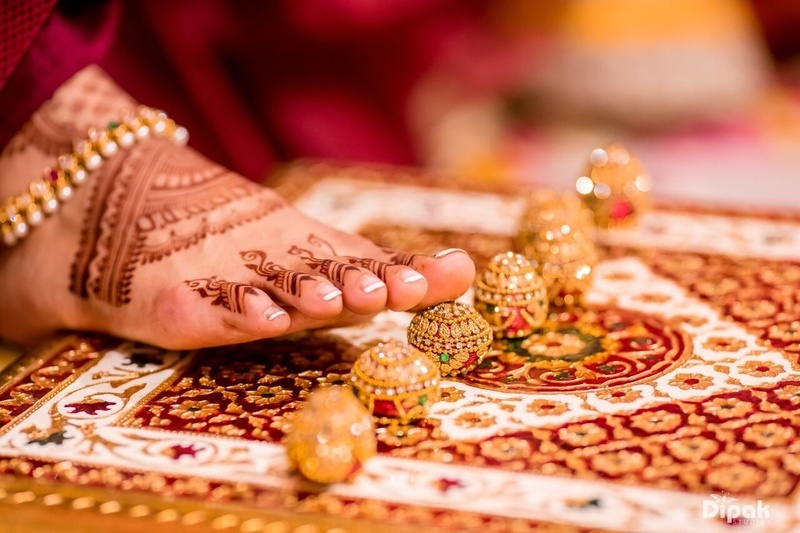 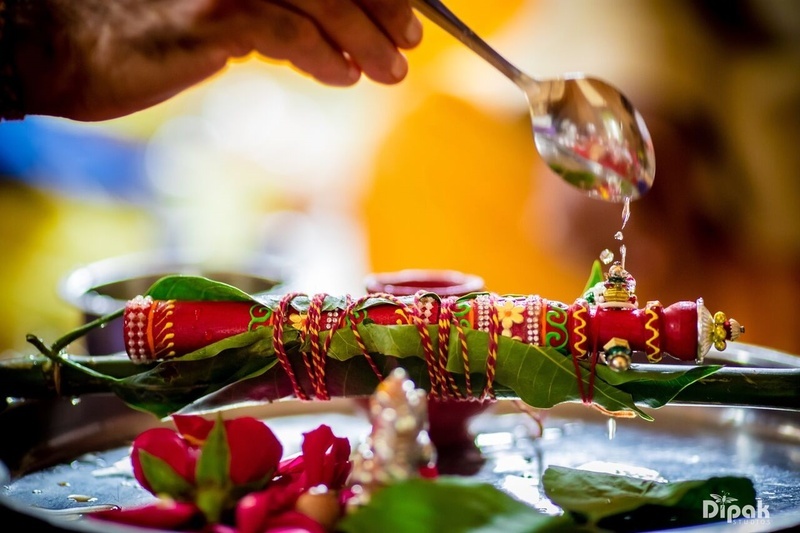 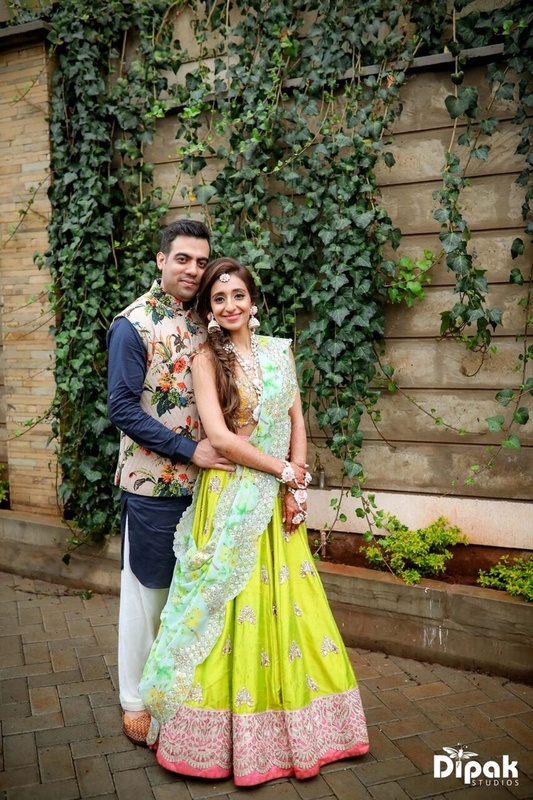 Yagna and Raghav recently got married in a beautiful and grand wedding ceremony in Nairobi, Kenya. 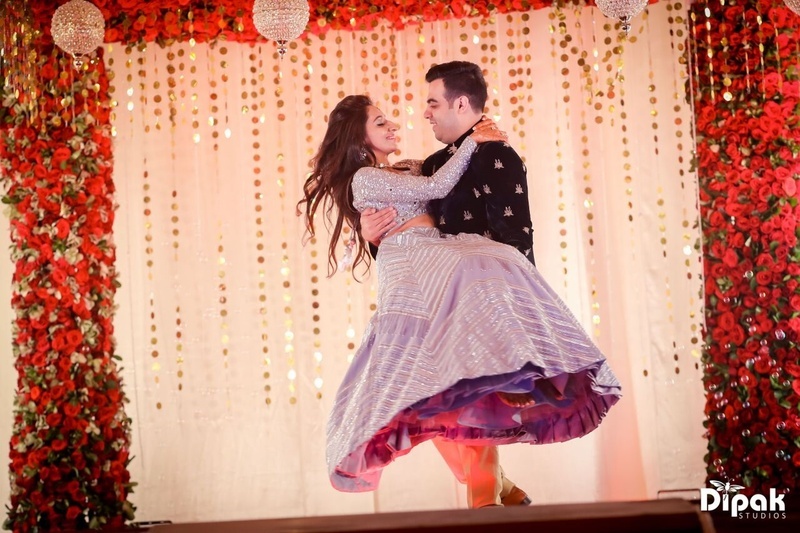 Their love story is also as beautiful as the couple itself. 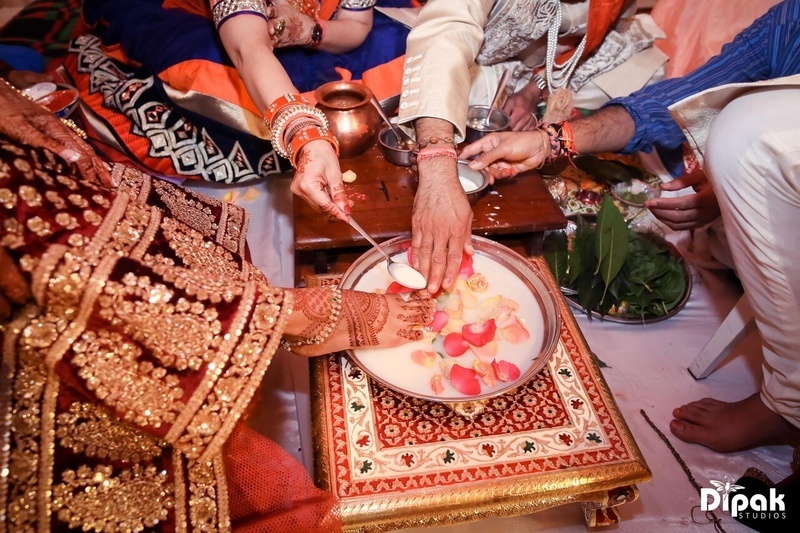 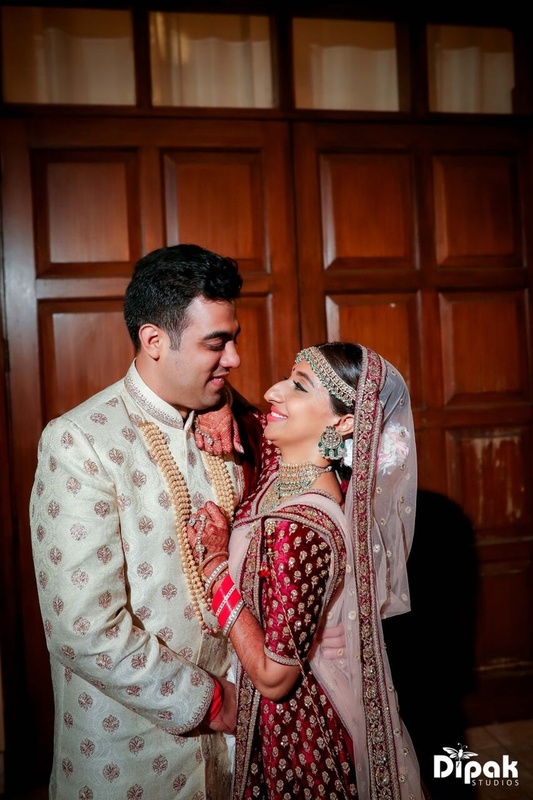 In life, coincidences are responsible for some of the best decisions that anyone can make, and Yagna and Raghav’s love story is the perfect definition for this. 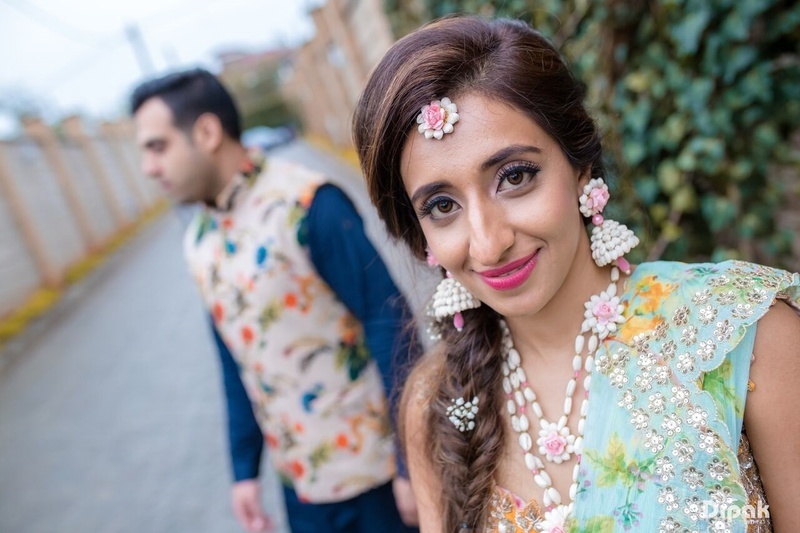 A car that wouldn’t start, a social media site that is everyone’s favourite and a very meaningful date is how this story started. 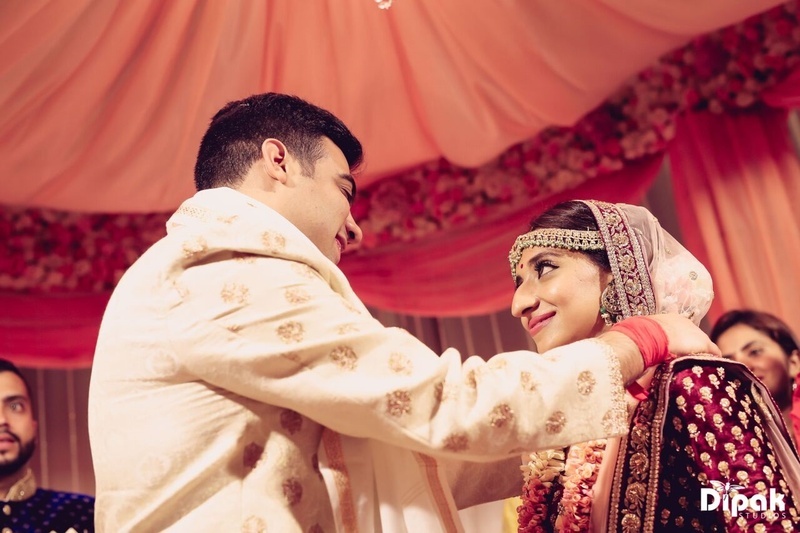 Five years ago, Raghav was out with a friend for coffee, while Yagna came to the place for an outing with cousins. 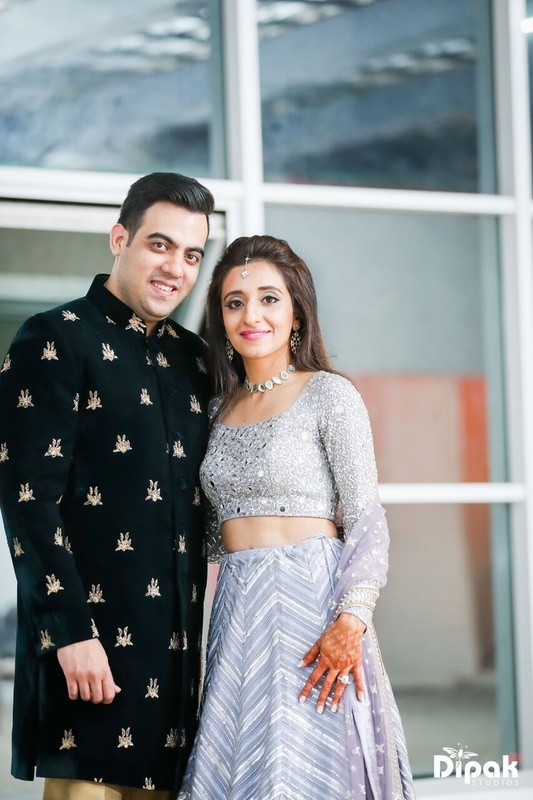 Raghav’s car broke down in front of the restaurant, and seeing no one else but Yagna and her cousins around, he called out for help. 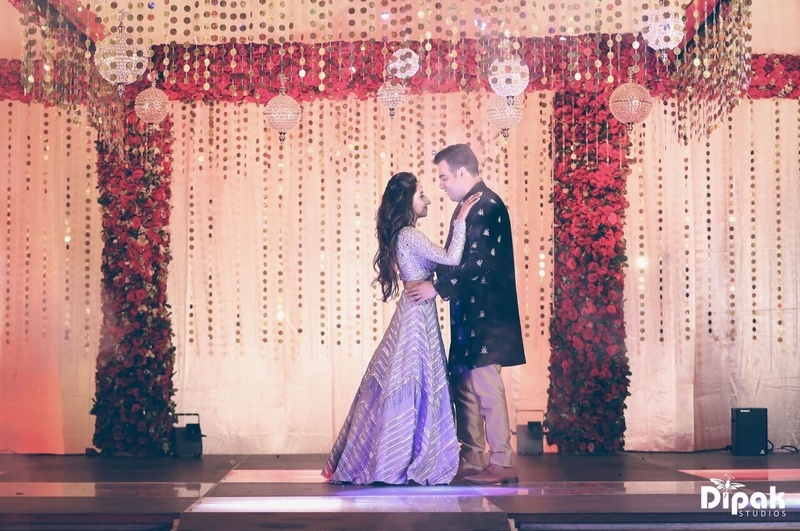 And the journey of this beautiful love story began from there. 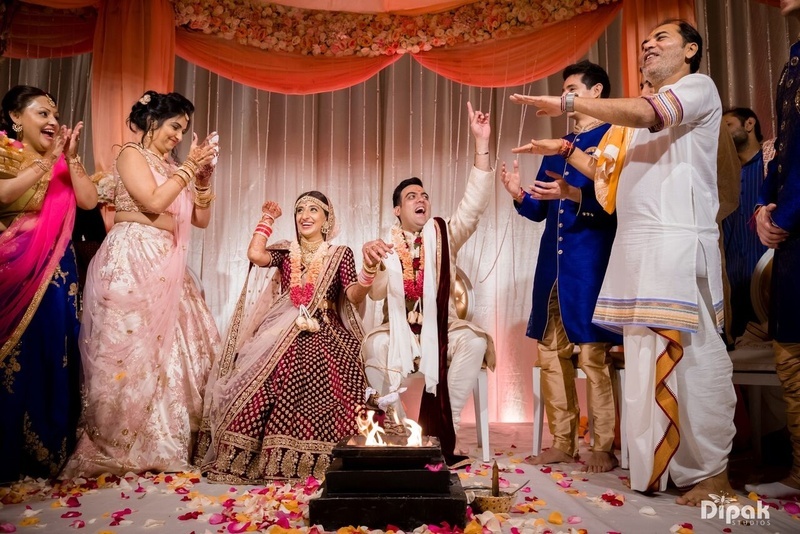 Yagna and Raghav had a long distance relationship for four years, as Yagna was studying in London. 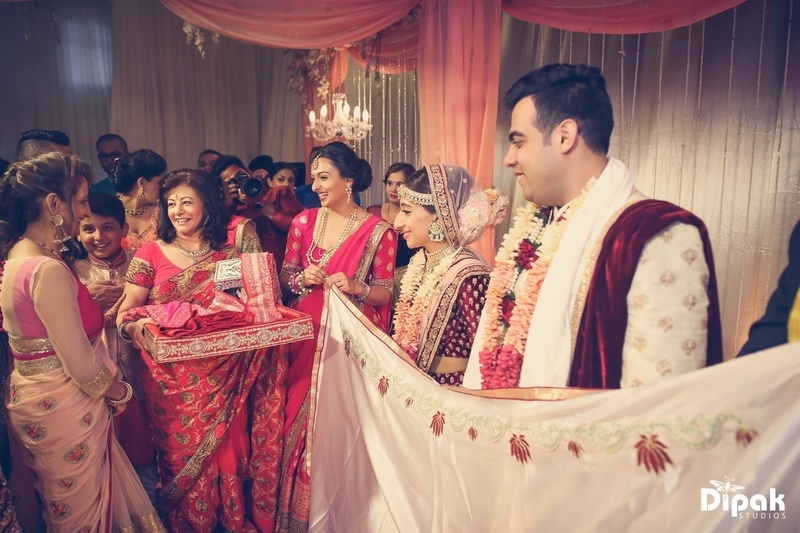 But Raghav on the other hand was planning a fairytale like proposal for the love of his life. 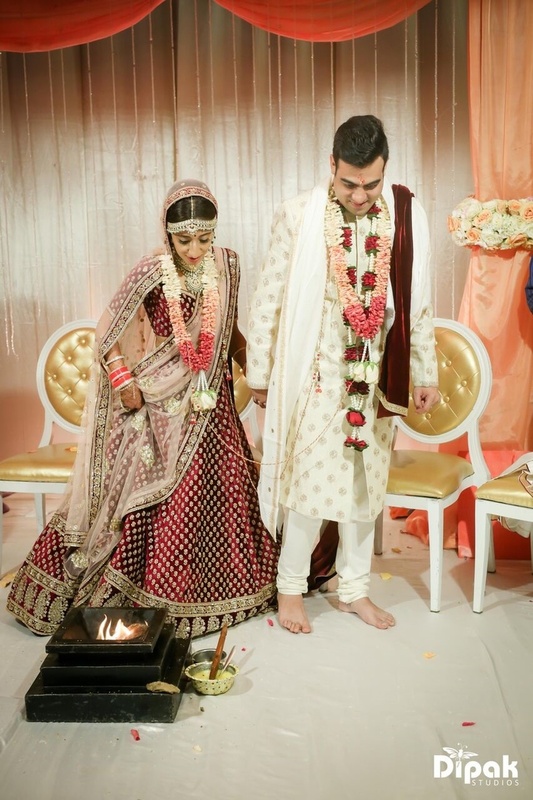 Raghav planned a trip with Yagna to Mombasa, Kenya. 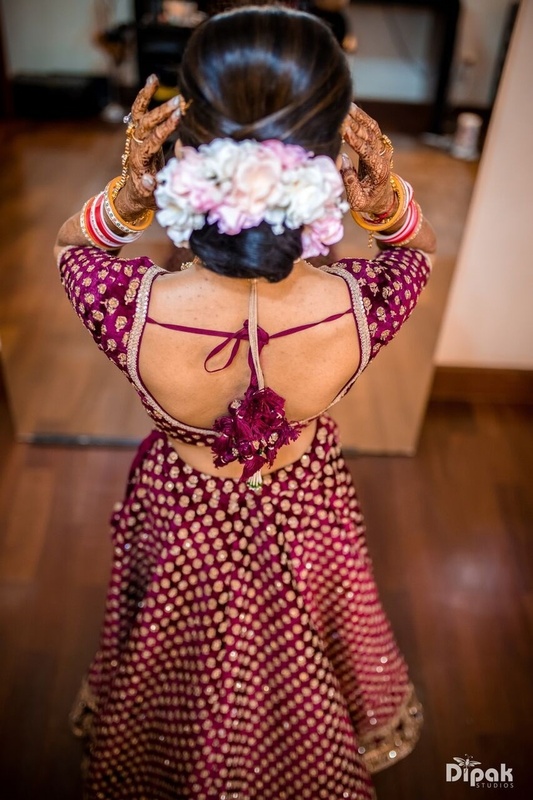 On the day itself, Yagna was dressed up for a "beach party" hosted by a friend. 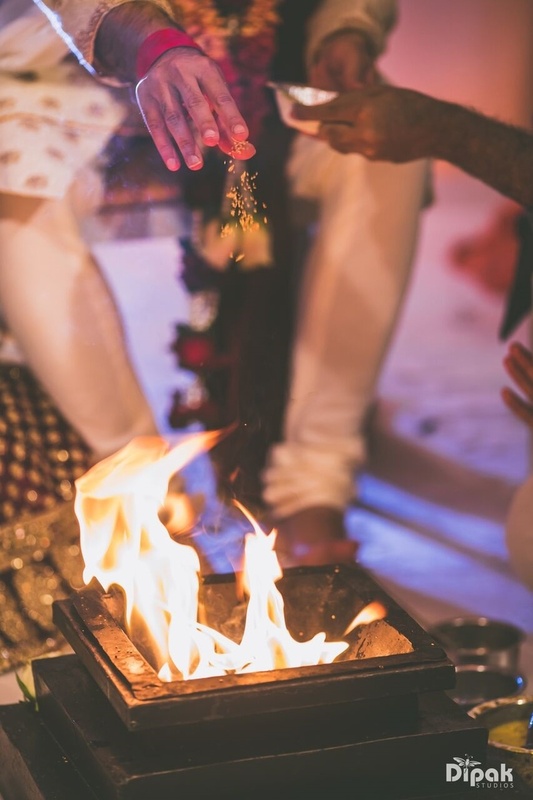 Little did she know that when she steps onto the sandy shores, she would find a walkway full of candles and roses, and a love struck Raghav standing under a canopy of flowers. 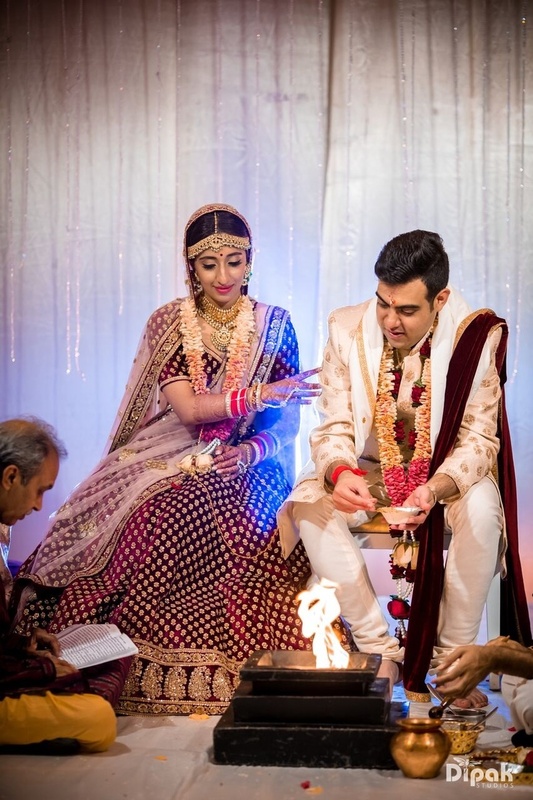 Just like before, Raghav didn't have to say a word as Yagna said "Yes", redeeming him of his nervousness! 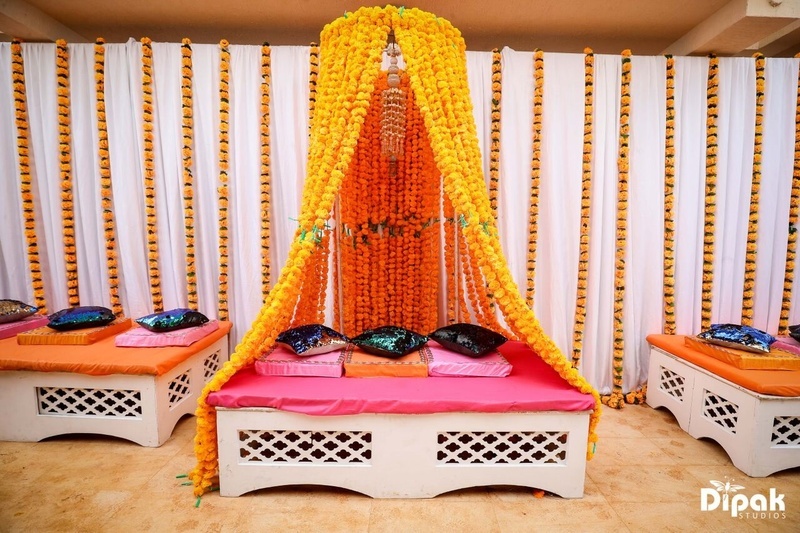 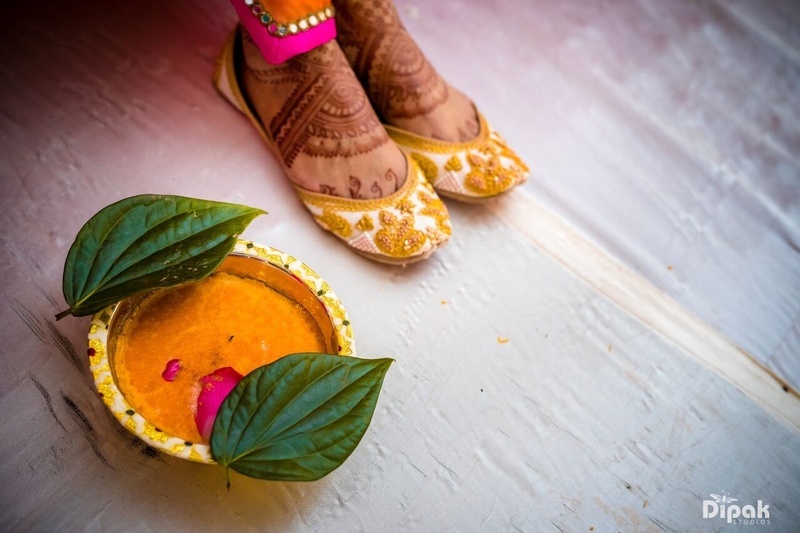 The Mehndi ceremony was a mesmerising affair themed as Floral Fantasy. 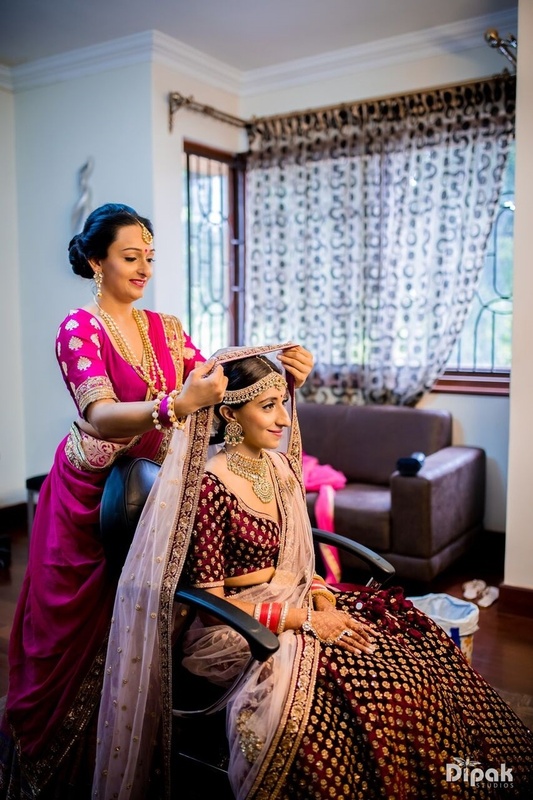 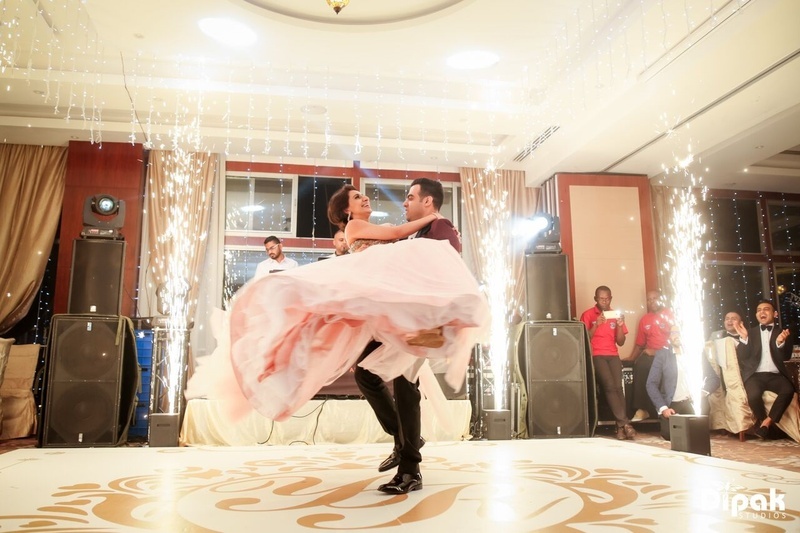 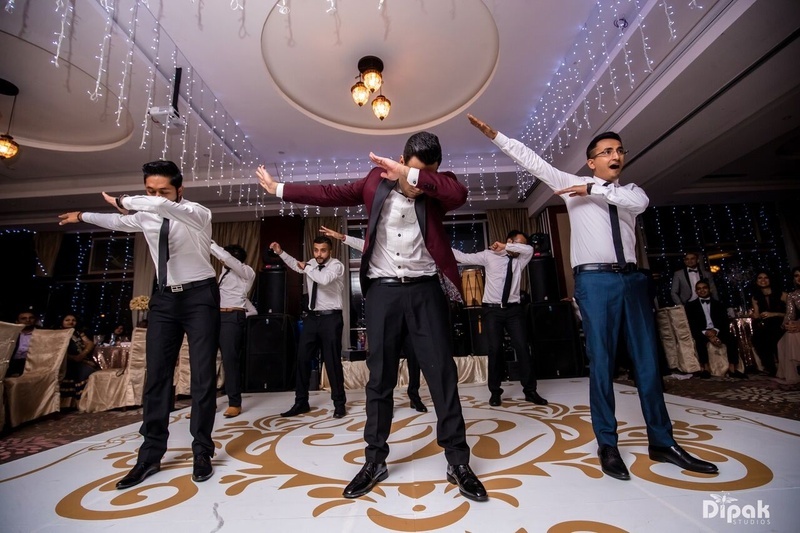 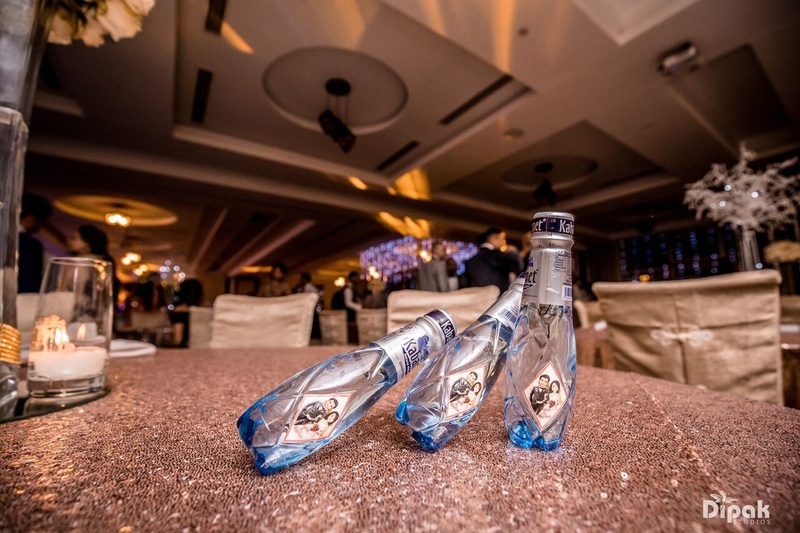 It was the most exciting event for the bride due to the colourful and cheerful nature of hers. 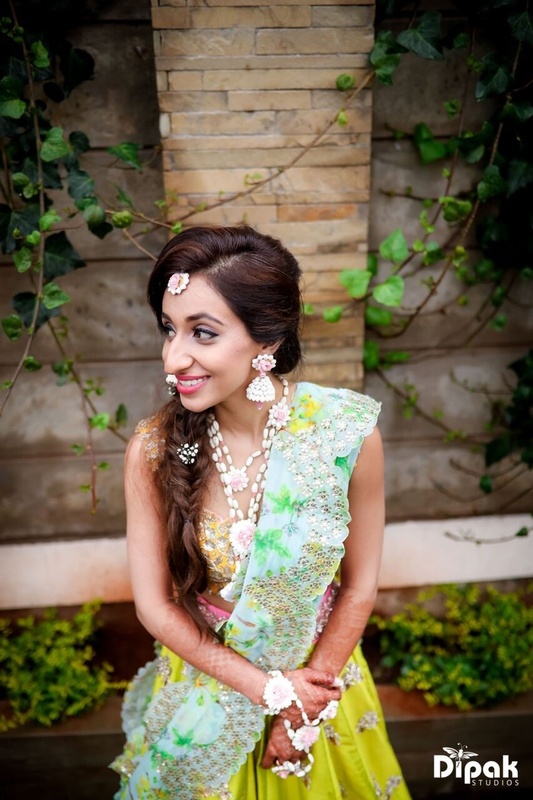 She wore a mehndi outfit designed by Anushree Reddy and jewellery by Floral art. 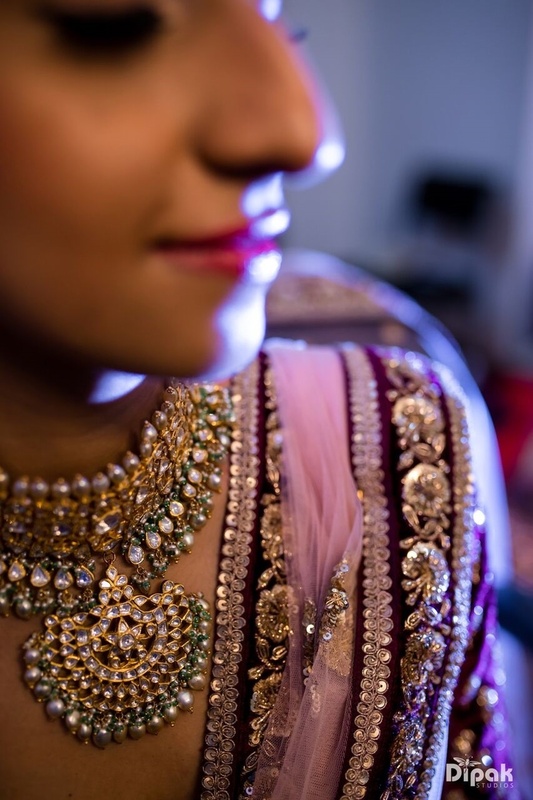 The bride looked absolutely stunning in the Floral jewellery and her bridal mehndi design were much talked about. 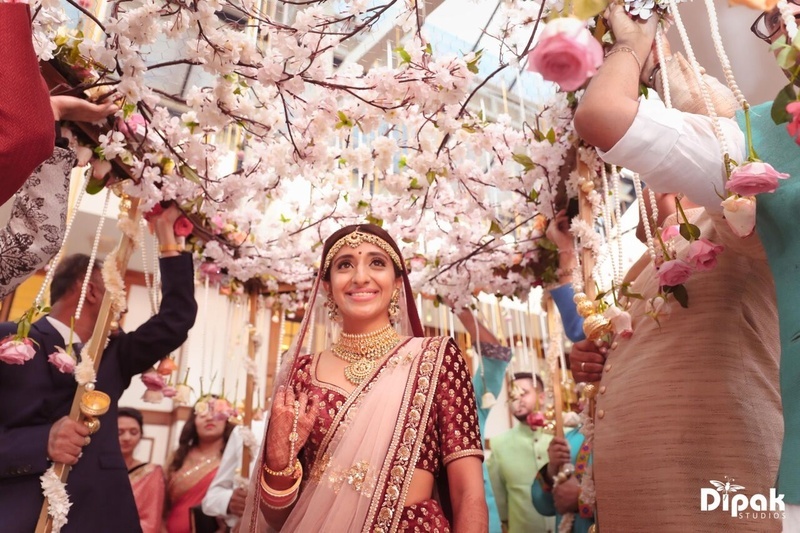 The bride stepped on the stage with a simple yet utterly beautiful bridal lehenga from Sabyasachi, complimented by star-studded jewellery, again from Sabyasachi. 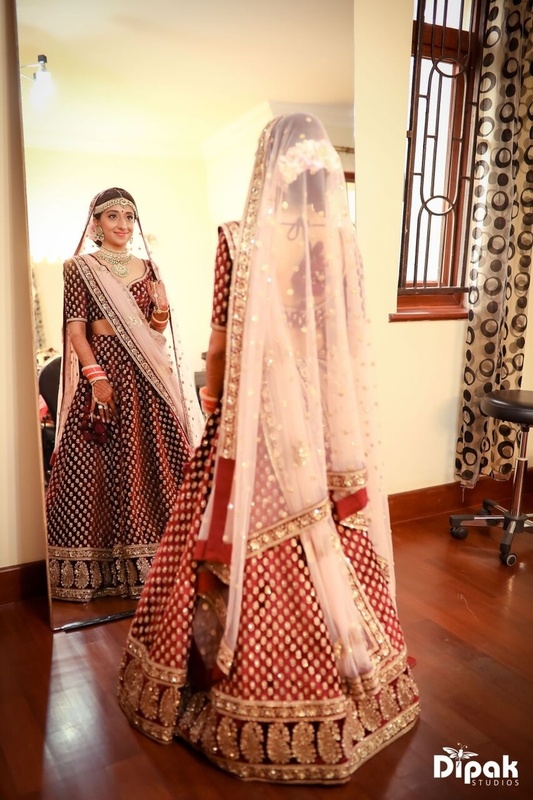 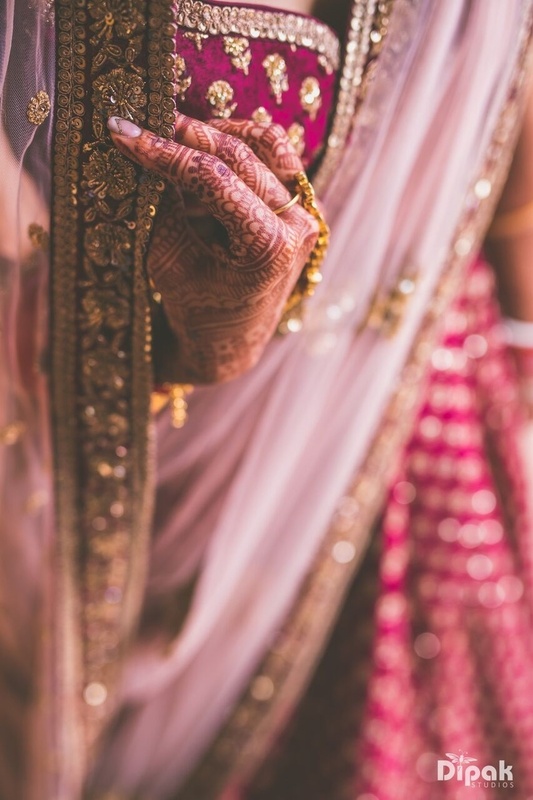 The maroon Sabyasachi bridal lehenga and the sophisticated Sabyasachi bridal jewellery did perfect justice to the idea of the Bridal outfit that Yagna had in mind. 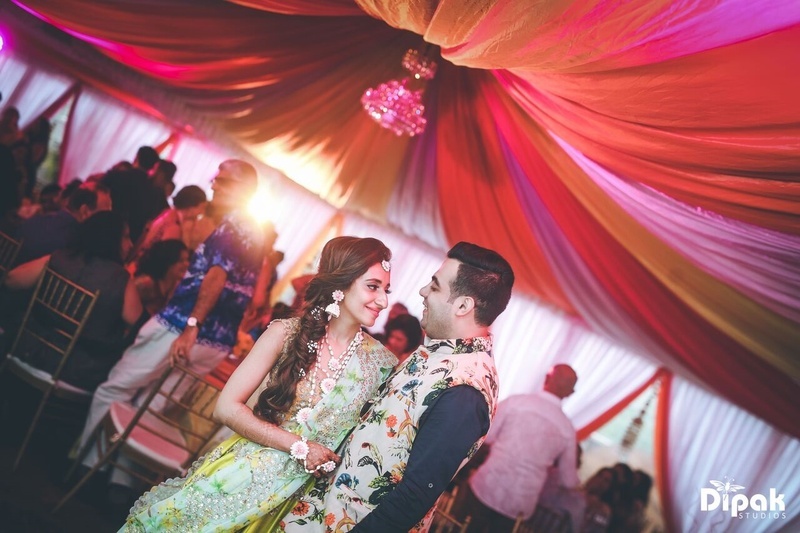 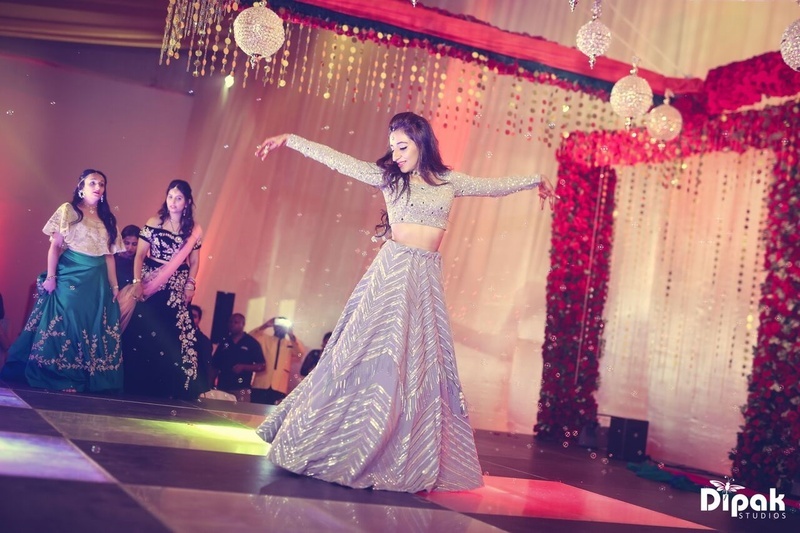 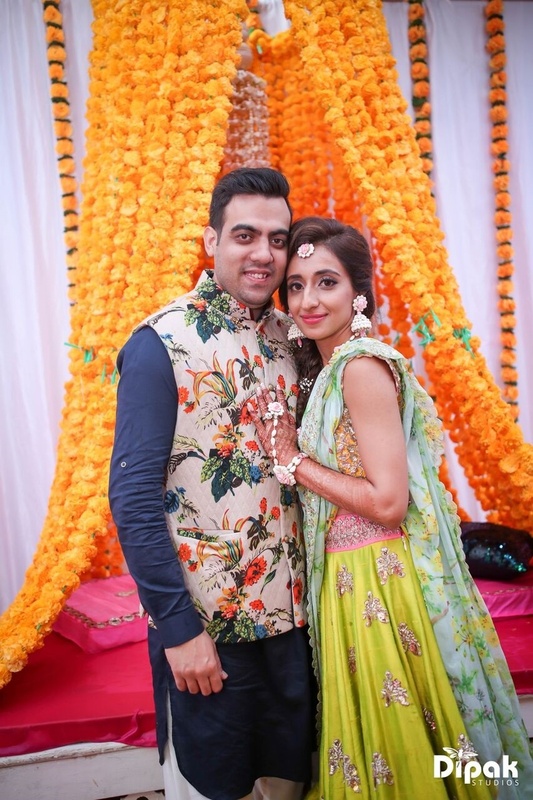 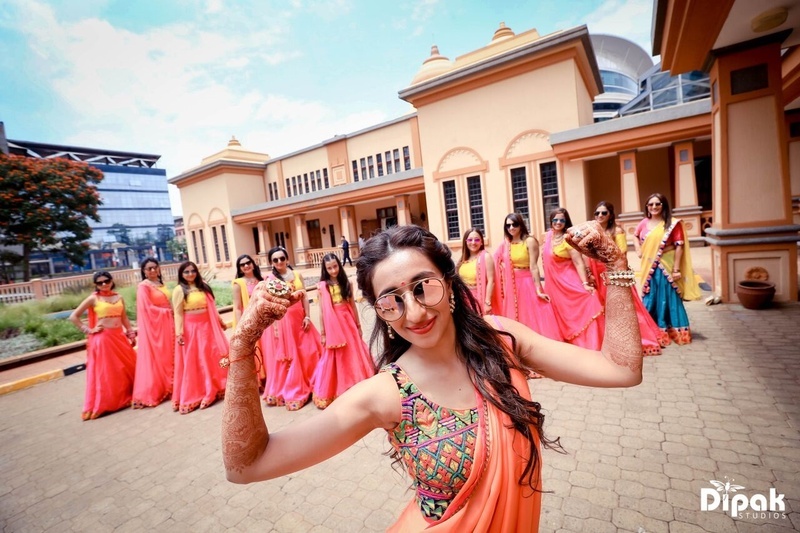 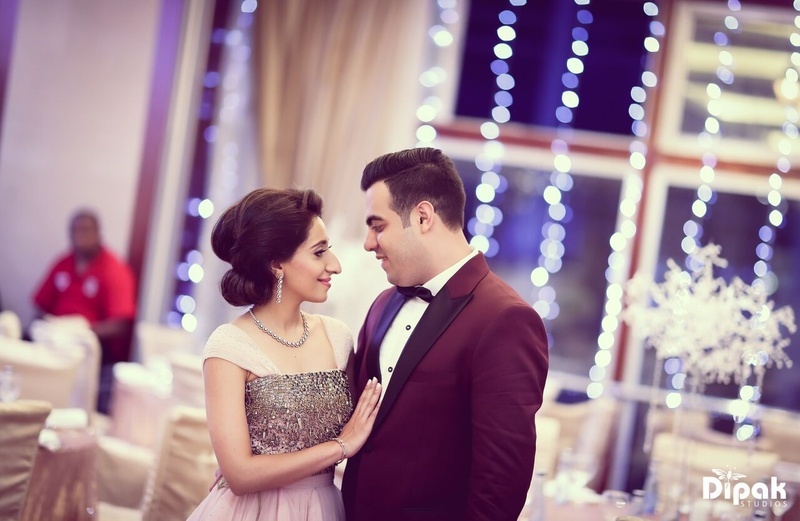 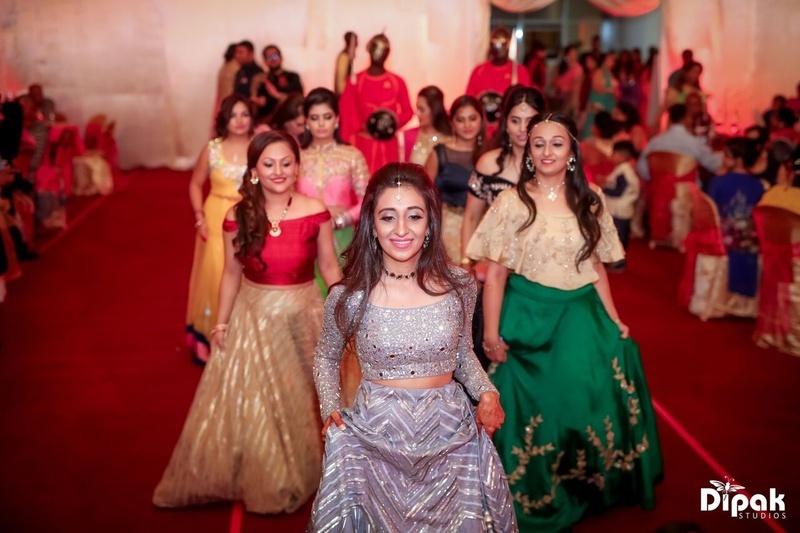 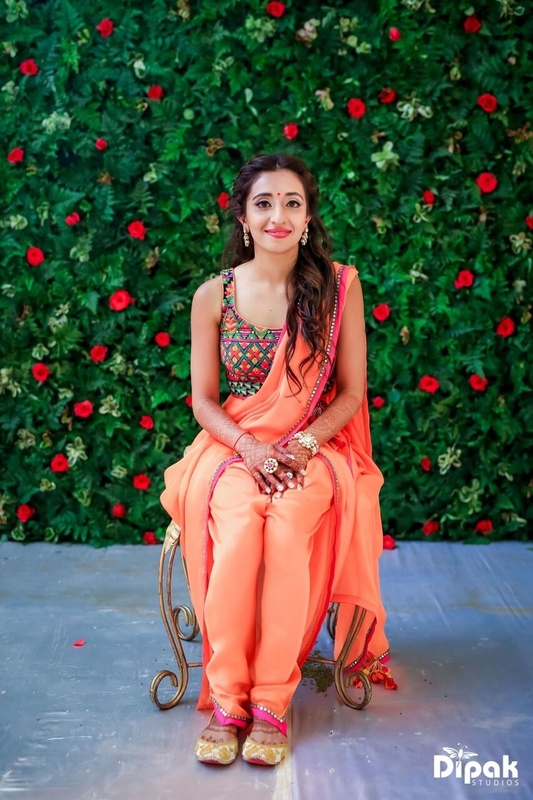 In her pre-wedding cocktail party, she wore a fairy like gown designed by Shantanu and Nikhil and even for her Sangeet she chose a heart throbbing lehenga from Anushree Reddy complimented with jewellery by Isharya. 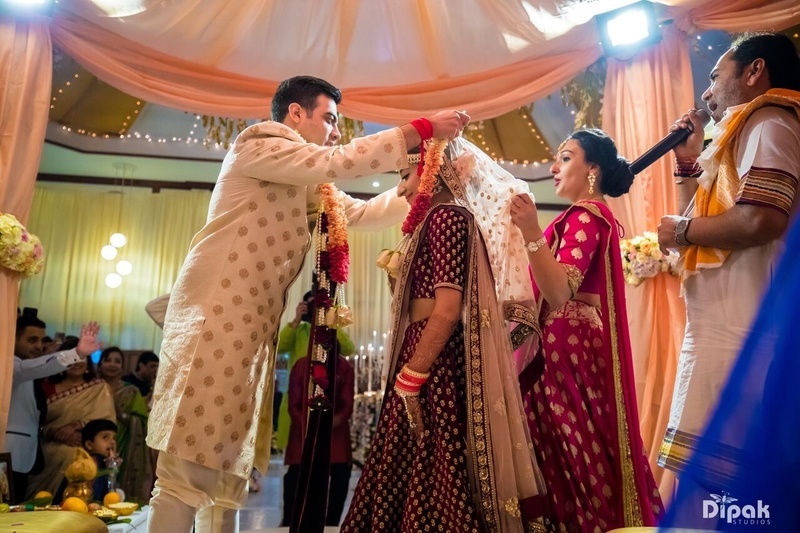 Yagna and Raghav are truly a couple who deserves admiration. 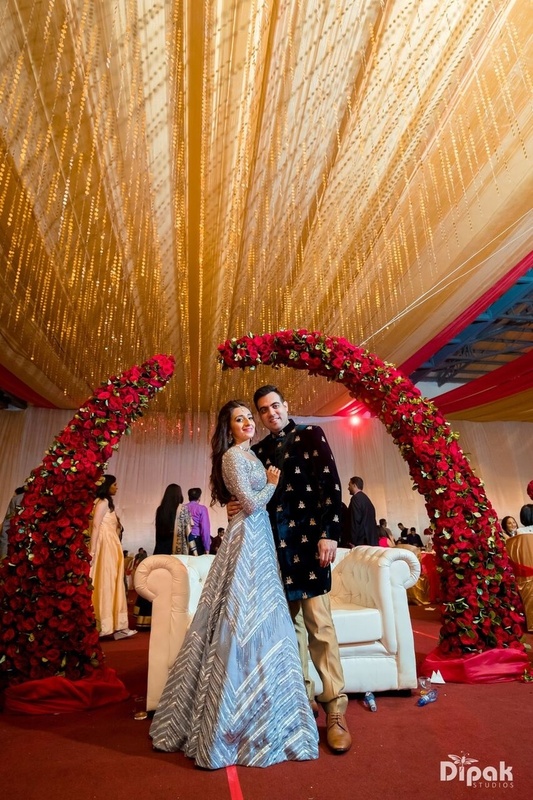 The way they make each other feel special and push each other to be the best is just one of the many reasons they are the ideal couple! 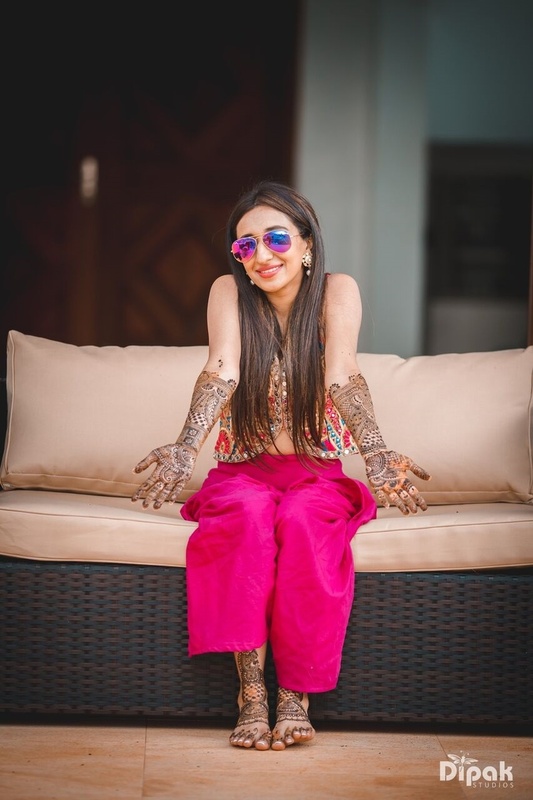 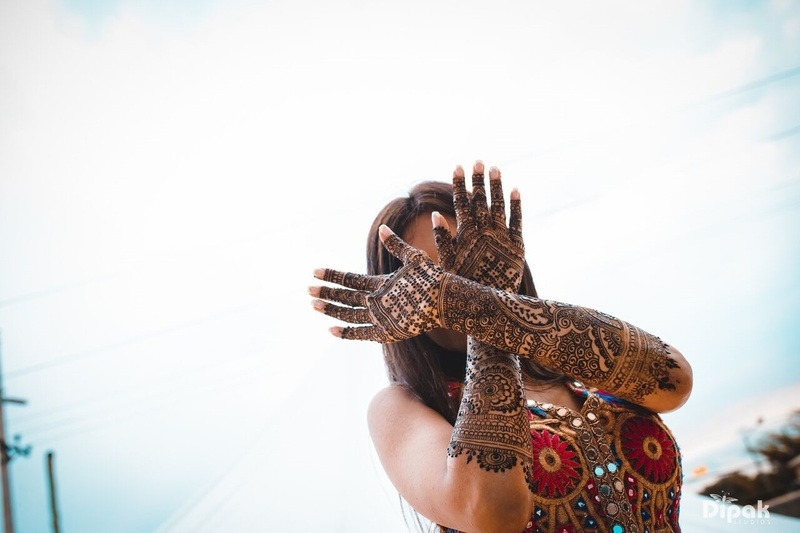 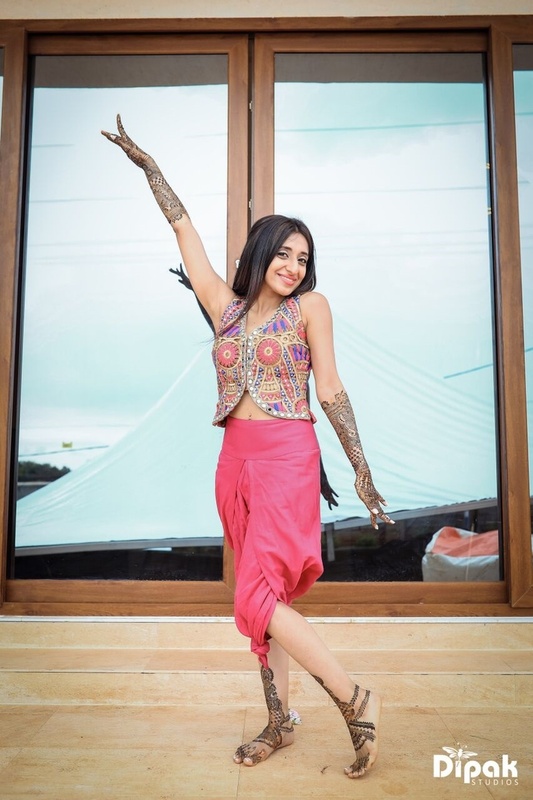 Mehndi Photoshoot with a quirky pose. 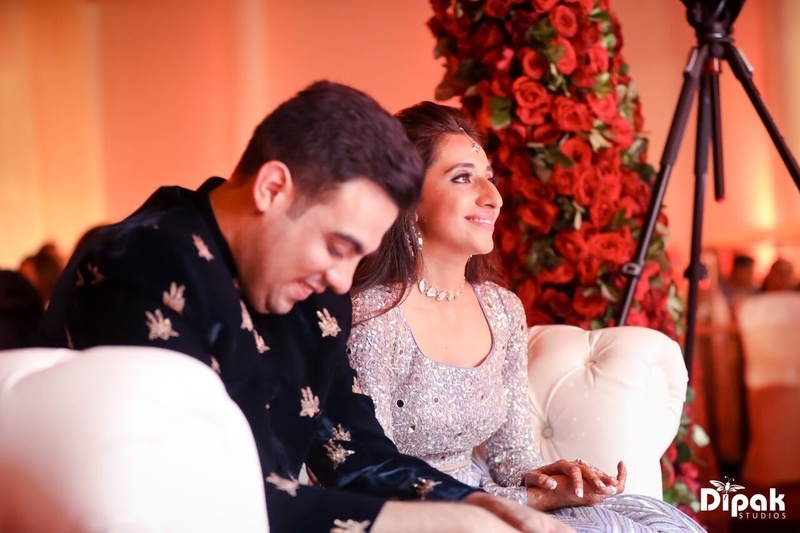 Bride and Groom captured in a candid shot at their Mehndi ceremony. 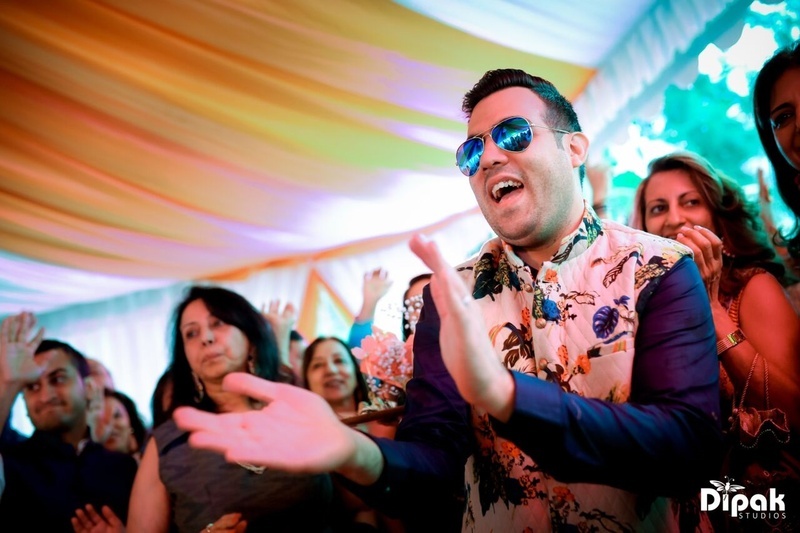 Groom enjoying the Mehndi ceremony in a Blue Kurta and colourful jacket.